Last Malevich reference, there's more, but that's enough for now. 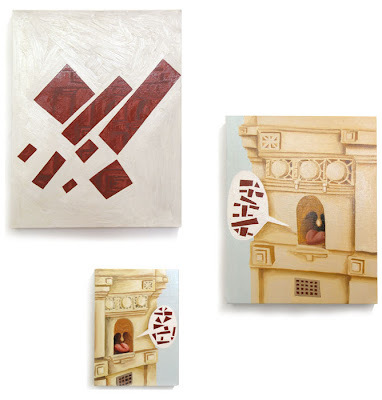 The two smaller canvases depict personified versions of the exterior niches on the Sarjeant Gallery, screaming. These works were painted at the height of Michael Laws' verbal and financial attacks on the Gallery.